Well, I’m making rapid progress. Have already built the frame for the Eurorack Drum Machine, based around a repurposed Pittsburgh Modular Cell 48 case, and installed three of the modules. The Akemies Taiko and Pip Slope modules should be arriving early next week. The Pico Trigger is amazing and really easy to program with the browser based pattern editor which works great from my iPad. 8 patterns can be stored in the module at any one time, even after powering off. I particularly like the way that each of the 4 tracks has an independent length parameter (1 to 16 steps), great for programming polyrhythmic patterns that change over time. 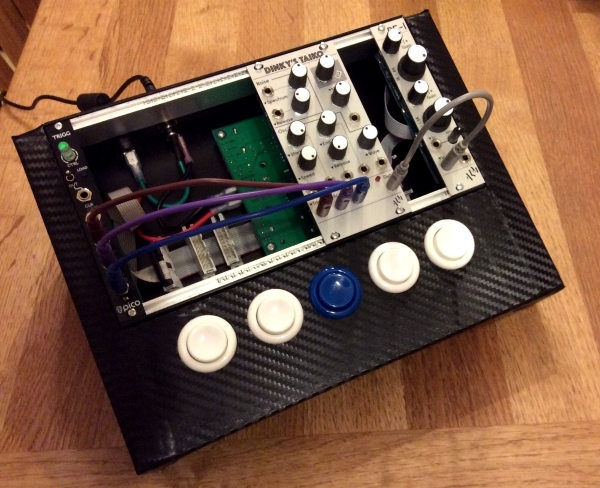 The arcade buttons aren’t yet functional, but there is a DIY section on the Doepfer website which helpfully explains how to build a manual gate so I’ll start there; just waiting for some veroboard and a 6HP blank panel to be delivered first. Also contemplating squeezing in a Synthrotek 555 LFO too to add some modulation. 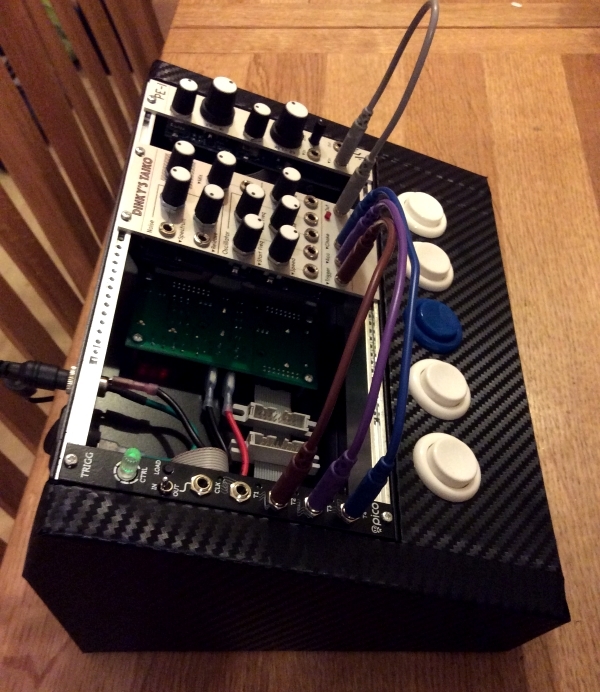 This entry was posted in Tech and tagged ALM, doepfer, Erica Synth, eurorack, Synthrotek on February 5, 2017 by scarkord.